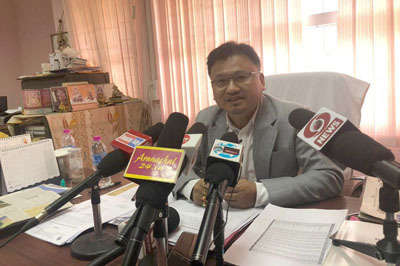 ITANAGAR, Apr 9: Former minister Jarkar Gamlin and his wife were reportedly attacked by a mob on Monday night, at around 10:30 pm, in Kamba area in West Siang district, when they were visiting a relative’s home for dinner. The mob physically assaulted Gamlin’s driver and damaged their car. 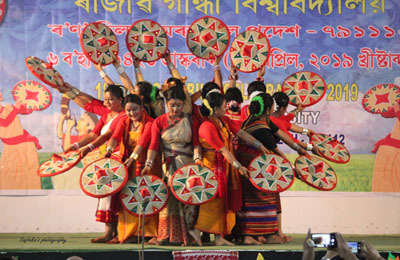 The West Siang SP informed that timely intervention by the police helped in dispersing the mob from the scene. He said an FIR lodged by the driver has been registered and investigation is currently on. “The police team conducted raids at nearby villages last night to nab the attackers. Raids are also being carried out presently, but the culprits are still absconding,” said the SP, adding that more details would be available once the attackers are arrested. Meanwhile, Jarkar’s brother and National People’s Party’s candidate for the Liromoba seat, Jarpum Gamlin, in a statement on a social networking site condemned the incident. “I strongly condemn the mob attack on my elder brother/former minister Jarkar Gamlin and his wife who went over to a relative’s home for dinner at Kamba. Physical assault on the driver and damage to the car should have been avoided. Three FIRs have been launched and I demand registration of all three FIRs and immediate arrest of the identified ring leaders, including Nyamo Karbak, brother of BJP candidate from Liromoba assembly constituency, Nyamar Karbak,” Jarpum said. He claimed that “the same mob of around 30-40 drunk youths” attempted to manhandle him at Kamki and Hipin Karbak villages just a couple of days ago. Karbak claimed that he and his party workers also faced “harassment, threats and illegal road blockages on a daily basis” but he had learnt to let it go. “There have been repeated attempts to provoke tension and escalate law and order problems in our area. I would like to request everyone to maintain peace and not to take the law into their hands. I or my party has never encouraged violence, nor shall I ever do so in the future,” he said. Next articleIs the involvement of underground elements in elections a threat to the state’s future?